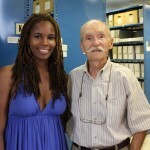 Student Archives Assistant Latifah Street poses with Jim Gordon. Many students go to their on-campus jobs and can’t wait to leave, but when I come to work I know that a new and exciting project is waiting for me. 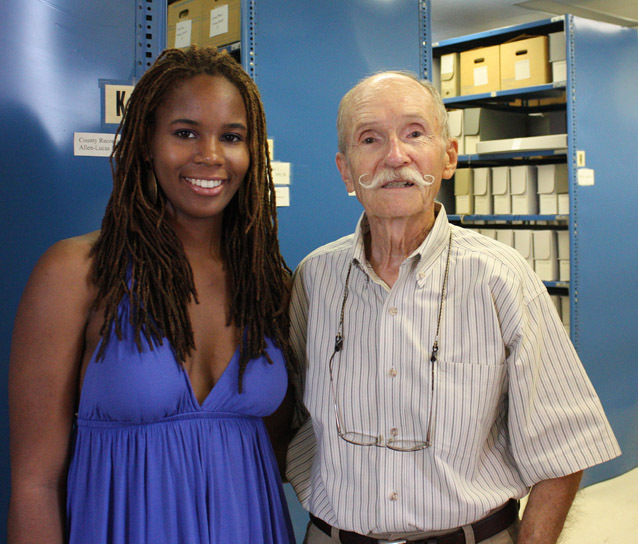 I’m a student Archival Assistant and when I do research requests or process collections, I’m given the opportunity to learn about the history of the area I live in. Many times, these collections directly reflect major events on campus. 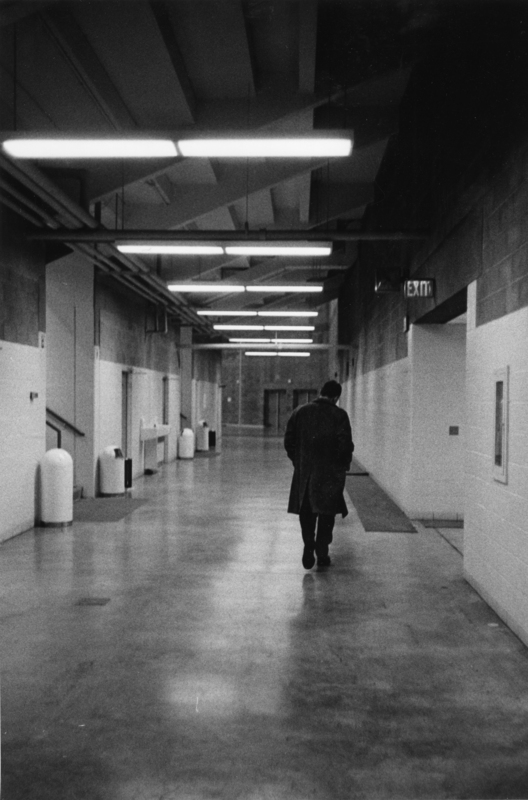 In February of 2010, I began processing the Jack Vivian/Jim Gordon Collection (MS 1130) based around Jim Gordon’s research leading up to the article titled “BG’s Big Hockey Buildup” that was published in the Blade Sunday Magazine on February 23, 1969. My project came along near the end of a protest against the possible elimination of the BGSU varsity hockey program and just as the BGSU Ice Arena was closed for renovations. During my research I saw how much work Jack Vivian had put into the hockey program and the transformation from what it was to what it is, as captured through the artistry of Jim Gordon. When Vivian arrived at Bowling Green in the mid 1960s, he worked as an assistant coach for the Athletic Director, legendary football coach Doyt Perry. It was Perry who put him in charge of the development of BGSU hockey as the new coach. The team started off as a highly competitive Club Hockey team, which became the BGSU Varsity Hockey team in 1969, thanks to Vivian’s hard work. After only two years, the community embraced both Vivian and hockey as a whole, starting the Youth Hockey League which housed 8 teams with over 125 boys. With Jack Vivian’s leadership, hockey became part of the heart and soul of the Bowling Green community. This enthusiasm was best expressed through the work of journalist and photographer Jim Gordon. Gordon, a 1956 BGSU graduate, became Director of News and Photography Services and yearbook advisor in 1959. 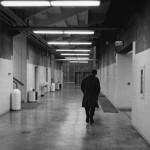 He captured both high and low moments of the hockey team, and it is in one photograph illustrating the Blade article captioned, “Almost the last to leave arena after game, Vivian heads home” that we see the depth of Vivian’s dedication to his team. This commitment continues today. As budget cuts continued to affect the activity of the hockey community, Jack Vivian and his wife Elaine donated $250,000 to the “Bring Back the Glory” campaign geared at reestablishing the hockey program and the Ice Arena as integral parts of the Bowling Green community. Facing the possibility of such a tragedy as losing a part of our community’s great history has only strengthened our determination to save it. It has brought us back to where we started and reminded us of the importance of preserving history and pursuing excellence through the path laid in front of us by those who paved it. Now that the Ice Arena has reopened and both the varsity hockey and club hockey team seasons are under way, we should look at these moments as the times those who come after us will remember as the golden years, when a community banded together to save a part of itself. As a student Archival Assistant, I am moved to look at these events from a historic point of view. These events show that history is not dead. It lives through the traditions we pass on and changes through the people who make it. For more information on BGSU’s Bring Back the Glory Campaign go to the “Ways to Give Back” section of the Alumni and Friends webpage.